Our daughter’s birthday was a great way to introduce her to traveling. It was also the perfect opportunity to make a tradition of traveling together during her birthday. When choosing our destination, we wanted a little bit closer to home as we were traveling for the first time as a family with no companions with us. As first time parents, it was a bit overwhelming as we did not want to stress our daughter at all. We had friends who brought their children on trips and some got sick while on the road or after the trip. This was something that I personally wanted to avoid as we experienced our baby getting admitted at the hospital when we went home during the holidays. And it wasn’t an experience I wanted to have again. So, we set our sights to Bohol. The island is just two (2) hours away from Cebu and it’s by far one of the most convenient places we could visit with our little toddler. As it turned out, we got to take my brother-in-law with us during this trip as he was visiting for the weekend. Good thing as he was pretty helpful and easy to be around as he loves the beach as much as we do. Planning the trip was a lot easier than I thought it would be. 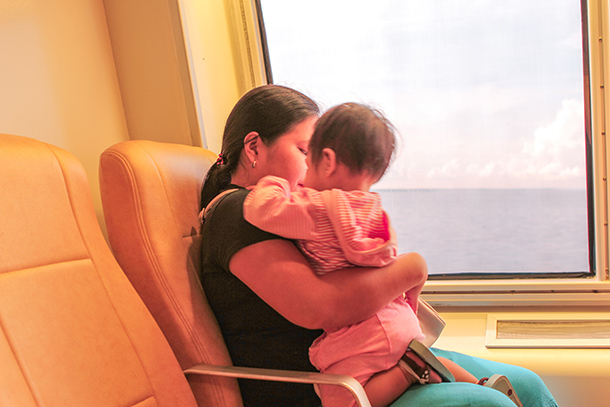 I’ve read countless of travel blogs on bringing kids along and one thing that really hit me home is that when travelling with kids, itineraries should be as simple as possible. Slow travel is a must to avoid kids from getting stressed out especially when you have a lot of plans for that day. Hence, we’ve decided to take it slow and just stay at a resort and enjoy the beach and each other’s company. 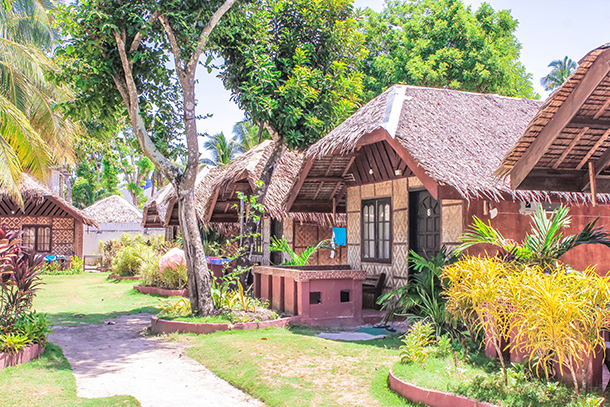 Initially we planned on staying at Momo Beach in Panglao, Bohol. A friend who was running a travel agency recommended Bolod Beach to us. And because it looked far more convenient and I trusted his judgment, we chose Bolod Beach. 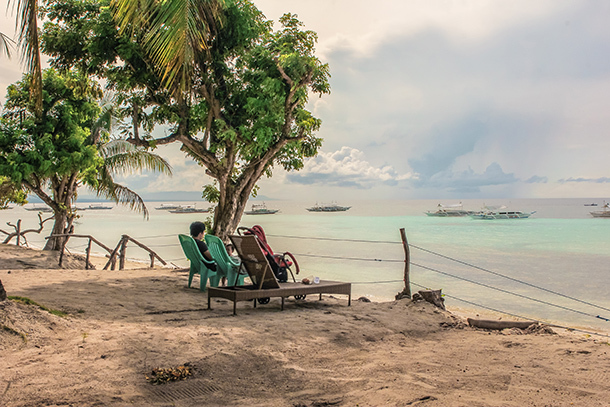 This area in Panglao, Bohol is a favourite among locals and tourists wanting a more relaxed ambiance than those in Alona Beach. Personally, I found the shoreline longer and the beach more inviting. 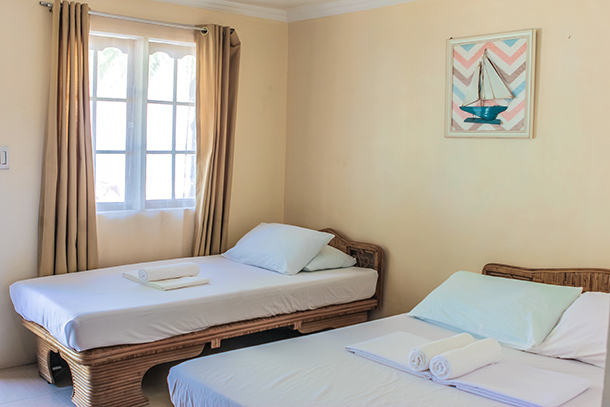 Booking a room at Panglao Grande Resort is easy and can be done even at home. You can always find the best deals by booking at hotel booking sites. We found super-saving room rates here for some of our travel. Ours was through a travel agency who booked everything for us. There was a bit of confusion though as the initial resort given to us was different. We were not booked at Panglao Grande, rather on another resort much smaller than the former. Despite the drawback, I was glad they did that because Panglao Grande was way much better with its spacious beach garden and beach front. 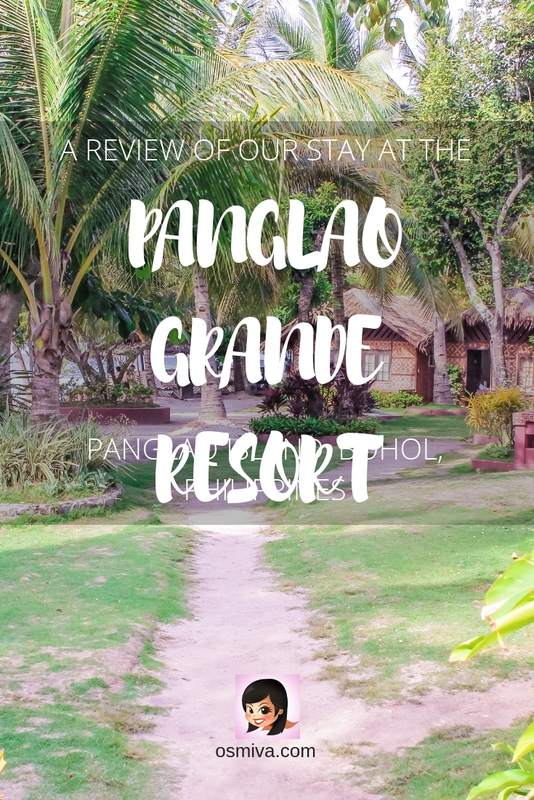 We returned to Panglao Grande Resort a few months later and booked a room through one of my trusted hotel booking site. The process was not hassle at all. Plus, the resort staff was very patient and answered all my queries before the trip. We were with my entire family this time and I didn’t want any inconvenience. I previously mentioned that I wanted convenience as much as possible. 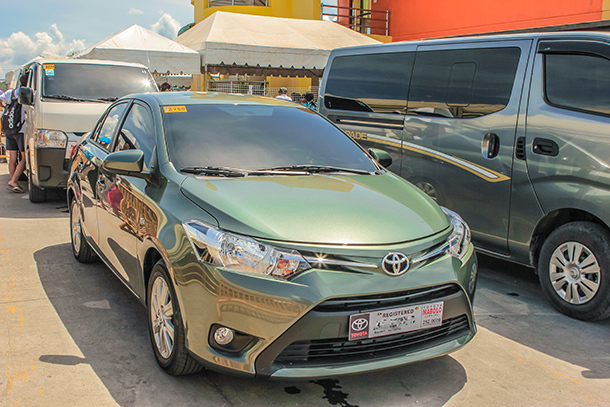 That’s why we’ve decided to book transportation to and from the resort to the port in Tagbilaran beforehand. Incidentally, we hired the same travel agency to arrange the land transportation for us. Everything went pretty smoothly upon our arrival. 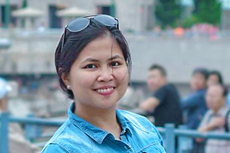 The chauffeur was already there when we docked at the Tagbilaran Port with our names on a cardboard box. We agreed for 1 PM pick up on our way back to Cebu two (2) days later and they were also on-time. We even asked to pass thru some fruit stand (on our way to the resort) and to a drive thru to pick up some lunch and the driver was very accommodating. If you’d rather commute, you can always hire a tricycle to take you there. Please take note that there have been some dispute with the land near the resort and access from it is prohibited. We were asked to enter through the Dumaluan Public Beach where we paid an entrance fee of 25 Php per person. 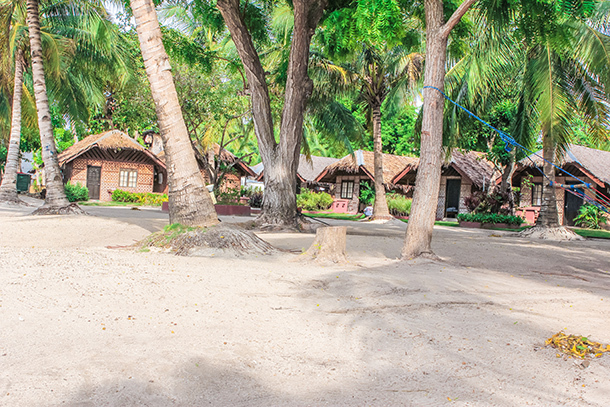 Latest update: The first entry to the resort (Dumaluan Beach Resort) was covered by Panglao Grande Resort. We did not pay anything. But for other activities like doing the Bohol Country Tour, you will have to pay the entrance fee yourself and won’t be covered by the resort anymore. Good thing that the resort sent some personnel to meet us at the entrance. They helped us carry most of stuff and gave us umbrellas to shield from the mid-day sun. We arrived at around 11AM and was early for the check in time which is 2 PM. The room assigned to us was still occupied. We were given the option to have another room so that we can leave our things and settle in. After inspection of the second room, we opted to settle in as we wanted to relax as soon as possible. There was a slight problem with the room booked for us, however. Our preferred room was supposed to be the ones facing the beach. However, slight miscommunications happened and we were booked into a Deluxe Room. It was beside the swimming pool and was located at the back. The room was pretty small than anticipated but it was clean and equipped with basic amenities. We requested a transfer but there was no available rooms. Good thing that our friend who was running the agency sorted things out and we were transferred to another room the following day. 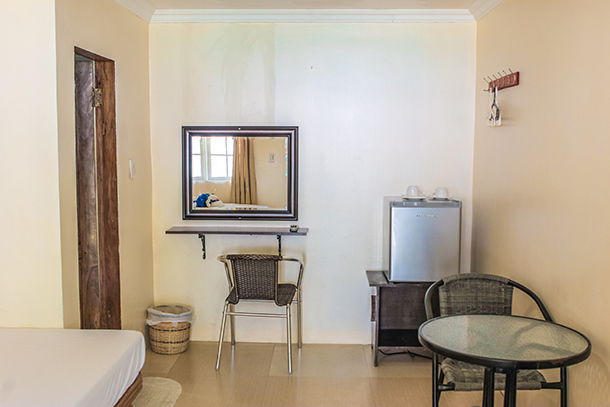 Room at the Panglao Grande Resort is very affordable. You may check out available rooms here for the rates. We never got the chance to take photos of our first room but we did got a few shots of our room fronting the beach. The room we had was pretty basic and was spacious enough for the four (4) of us including my daughter. She’s at the stage now where she enjoys walking around and picking things up. There were 2 beds: a single and a queen bed, all of which were pretty comfortable enough. The flat screened TV was attached to the wall and there was a refrigerator to store the fruits, chips and snacks that we previously bought prior to arriving at the resort. The room is also fully air-conditioned. There was also a vanity table and another extra table and chairs inside for placement of things. The hot and cold shower was also functional and the bathroom was spacious enough. We had a small porch outside, complete with a chair to enjoy the night air. On the side is a clothes line for hanging of wet clothes after swimming at the pool or at the beach. I loved the location of Panglao Grande Resort. It was located on a more secluded area of Bolod Beach. 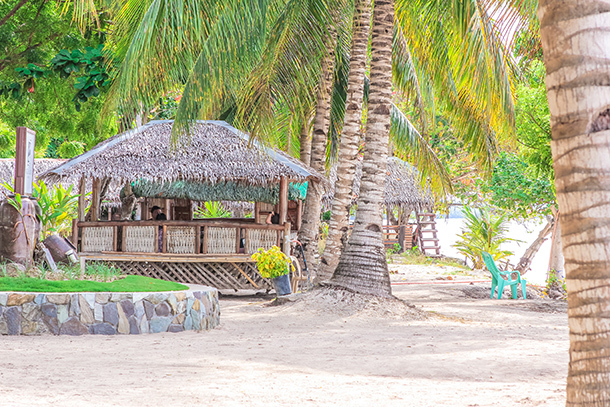 If you wanted some fun activities and lots of people, you can easily head over to the Dumaluan Beach Resort. It’s just a few minutes away and the walk is pleasant enough. I also loved the spacious area up front. They had several string hammocks in between the trees around the property. Movable beach/ lounge chairs were also available in the area. We moved some near the shore and it was so relaxing. Indeed the perfect set-up to just be lazy and soak in some beach sun. They have large cottages available too for groups on the side so it was not intrusive of the view. Panglao Grande Resort also had a small pool near the reception area. Our first room was near here and my brother-in-law was able to enjoy a few laps on our first day. 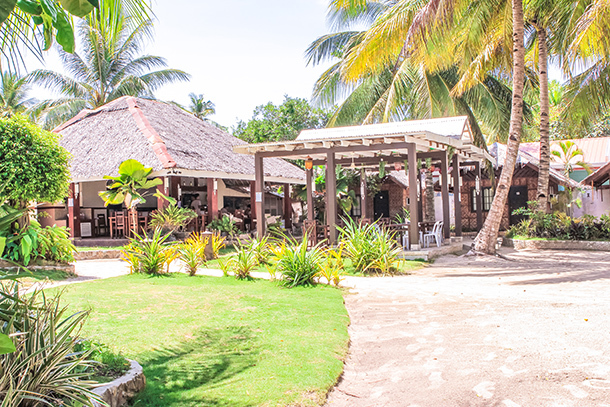 The resort’s restaurant is located just beside the Reception Area and had open walls. 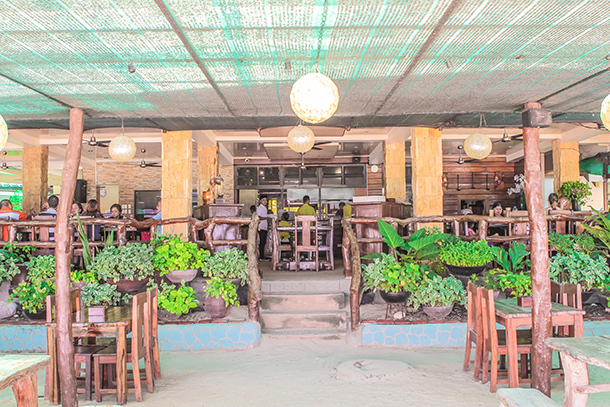 You can enjoy a sunny breakfast here (they serve plated breakfast and was already included with our room fee). I was a bit disappointed on the opening hours as they had limited time, however. For example, they close at 1PM so if you don’t eat on time or would rather have some late lunch, then you can look for other options elsewhere. Food prices (not only at the Panglao Grande Resort) were more expensive than what we were used to, but I think the portions are generous enough especially for a group. We had our lunch at another resort on our second day. It was my daughter’s birthday so we wanted some birthday cake for her. Unfortunately the resort had none, thus the need to look for other options. We were able to find some at the Dumaluan Beach Resort Restaurant where we ordered some delicious viand and rice. Checking out was a breeze and the Receptionist was very helpful and ensured that our driver was waiting for us by the time we were ready to leave. Please take note that you will need to pay the 25 Php entrance fee when you pass through Dumaluan Beach Resort. Aside from the room mix-up, I’d say we were contented with our stay and would love to go back. It’s truly the perfect place for a relaxing ‘staycation’ with family and friends. Though the food prices were a bit expensive, the servings were generous and the rooms we booked were pretty much affordable too. Will definitely keep this in mind for future trips to Bohol. Thanks for the tips! You’re welcome! Thanks for dropping by Shelley! I stayed at Adriana’s resort which was a seven minute walk from Dumaluan beach resort just a year ago. I remember walking by Panglao Grande resort and thinking that that place looked too expensive for my budget. You took some beautiful pictures there on your staycation. I intend to return to Cebu next month in fact, and this time, hope to head up to Malapuscua island in search of rest and beaches. Nice post. Oh gosh this makes me miss The Philippines so much! 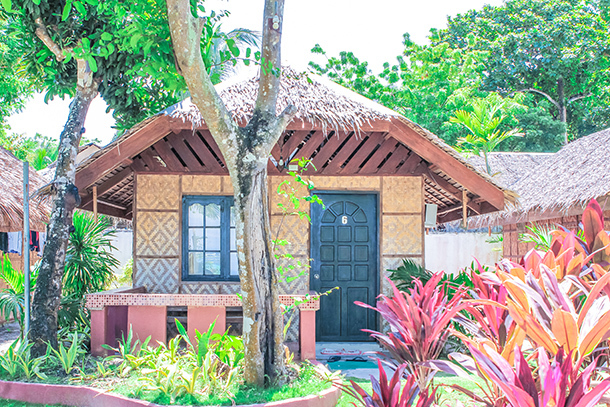 I unfortunately only had a day trip to Bohol but would love to spend some time in Panglao. This is where you can snorkel and scuba with sea turtles, no? Wow. That seems like a very good option for Bohol stay and the prices are so reasonable. thanks for sharing! Bookmarking this for my next vacation! You’re welcome.. Thanks for dropping by Sreekar! I’ve heard a bit about Bohol and would love to go. Is that the place where you can swim with whale sharks? The resort looks like it’s a comfy family-friendly resort that won’t cost a fortune. It’s in Oslob if you want to swim with whale sharks.. 🙂 Thanks for dropping by Christina! 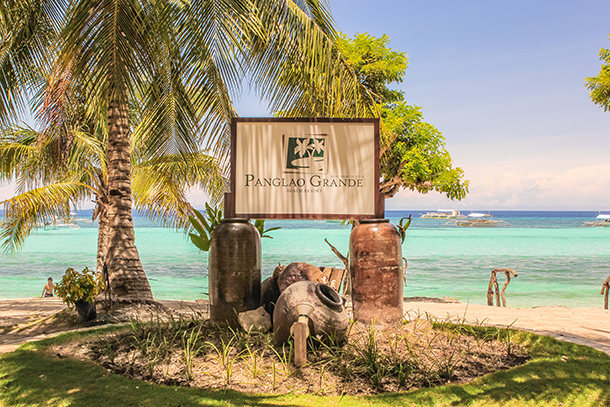 The Panglao Grande Resort indeed looks like a nice getaway. The location seems to be really secluded and would allow one to rejuvenate in the midst of tranquillity and nature. Nice place to celebrate a quiet birthday, I would say. We went to Bohol last April and we missed Panglao! Thanks for recommending because definitely, we need to go back again! BTW, I noticed that you don’t use Instagram? I love that you are making traveling a tradition for your daughter’s birthday! 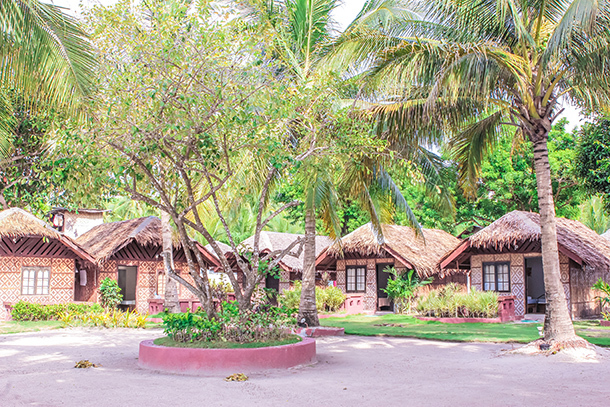 Panglao Resort looks lovely, especially considering the rates. It’s nice to be so close to the ocean, and it sounds like there were plenty of different beaches and food options nearby. Thanks for sharing about this place! What a lovely place for a birthday. I especially like the look of the bungalows. Sort of strange that you have to enter through a specific beach though! Yes. 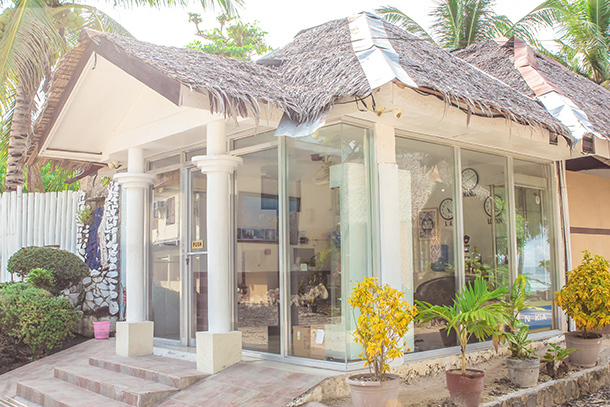 They had a legal dispute going on with the land owners, thus the need to enter through a different beach resort. The rooms look so comfortable. I love the location and the little rustic look that those villas have. 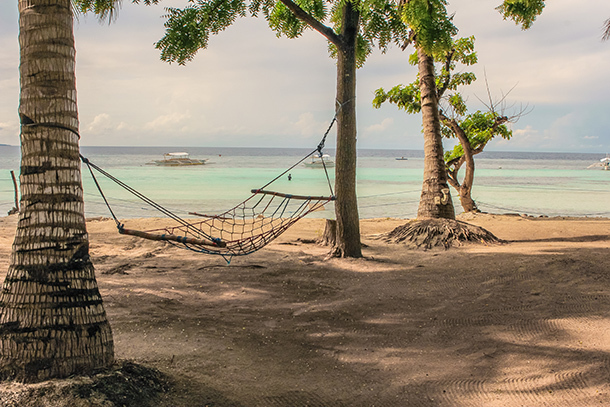 That hammock by the sea would be my favorite place to be while here. hi i just want to ask. do u need to pay the 25 php everytime u pass by the other property in and out? especially when u have tours scheduled? From what we heard, yes. 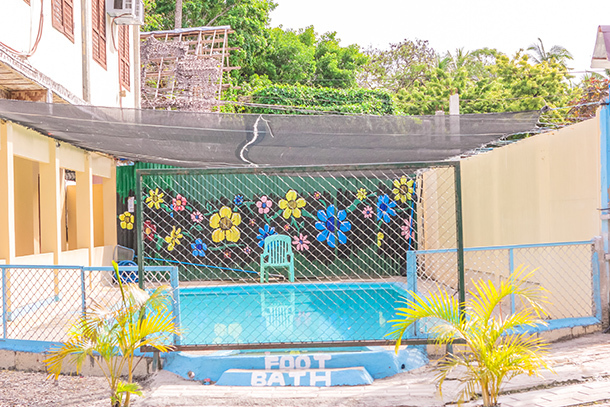 You’ll have to pay the entrance fee everytime you go in and out of the Dumaluan Beach Resort. You may as well plan your schedules well to decrease the multiple times of getting in and out of the property. There is an alternative route which is free but will take you more than the usual time. We haven’t tried it yet though. Thanks for this detailed review. 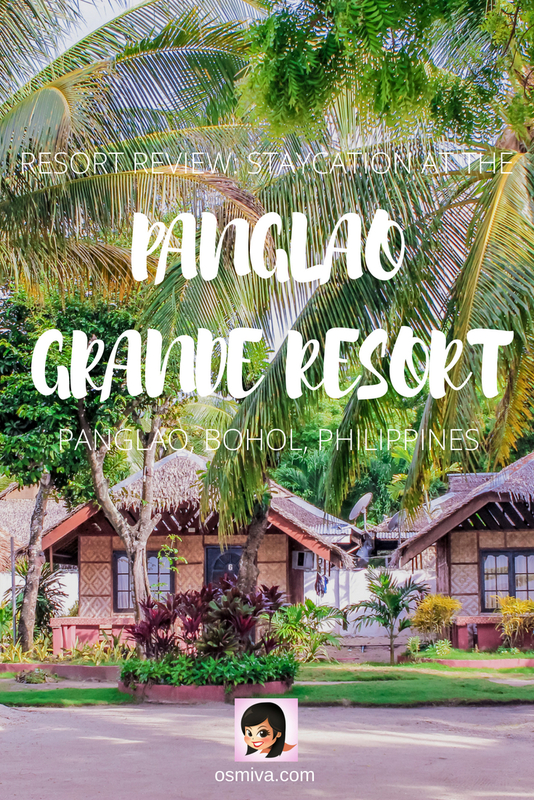 My family will be visiting bohol this Christmas and we booked at Panglao Resort – reading your reviews about the resort, made me more excited to go there. Btw, may i ask if there are nearby “cheap” resto’s around that resort? Nice review. Had a reservation as early as January for the March 12-14 trip to Panglao. Been planning to cancel the reservation because of the land dispute which makes me worry about the long walk to the resort and the parking for the car we are about to rent. Having read this review, i am more convinced to just stick to my decision of pursuing the reservation for a family staycation. Thanks a lot. God bless you and your family. Thanks Nikki! The walk isn’t that tedious with such gorgeous views. Though it may seem at first especially when you arrive. 😀 Glad to have given you insight! You’re welcome! 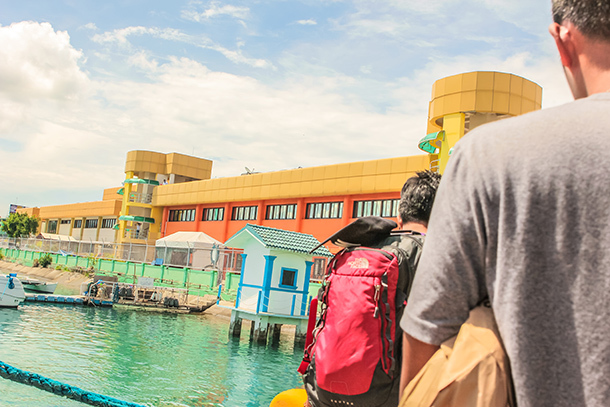 were you able to get any contact nos/person in the resort? Baka pwedeng directly to contact the resort for the reservation? This is a great review btw. Thank you.